This magical relic grants its user many powers, including the ability to warp to another location. 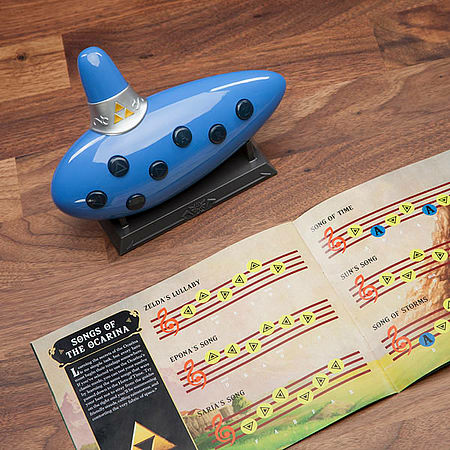 Now we believe it's time for you to accept your true destiny and take up the Ocarina yourself, hero. One of the keys of the Sacred Realm, the Ocarina of Time is an heirloom of Hyrule's royal family. Princess Zelda bestows knowledge of the Ocarina upon Link, who first uses it to visit the Temple of Time. The magical relic grants its user many powers, including the ability to warp to another location. 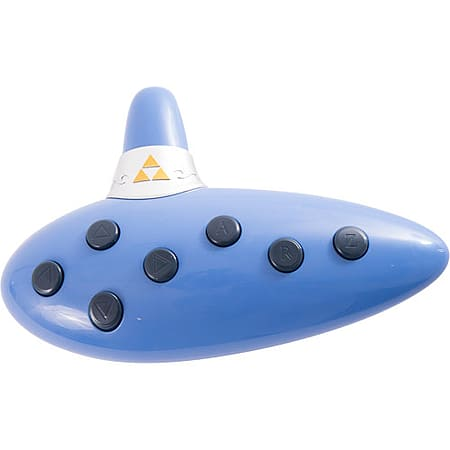 Now we believe it's time for you to accept your true destiny and take up the Ocarina yourself, hero. 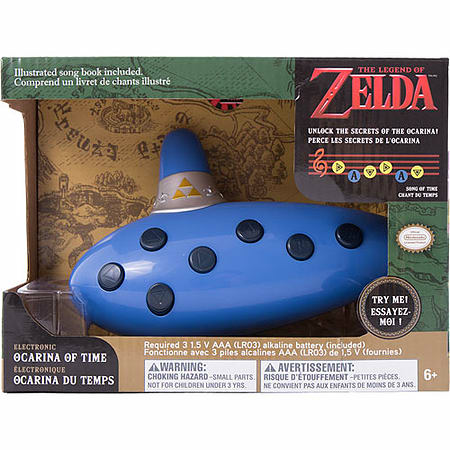 This Ocarina of Time is the perfect gift for those looking to find their Epona, or just want to travel back and forth in time. 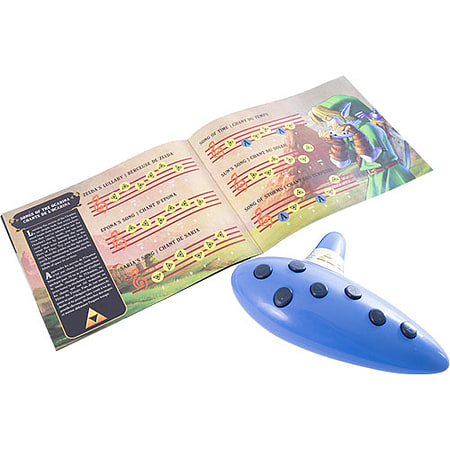 Its comes with a song sheet and different modes to operate, you can choose between Song mode, which will allow the user to recreate their favourite songs from the games, or Free Play mode if you would like to play some of your own creations!